Paul Stevens World’s Longest serving professional Golf Caddie. The group consists of three glamorous females who have a wealth of experience as professional singers. Performing the unforgettable sounds of The Supremes, Martha Reeves, Four Tops, Temptations, Stevie Wonder, Mary Wells and many more…. With smooth harmonies, impressive choreography along with stunning costume changes the performance is packed with slick routines that make this a first class show. The Angelettes are fully self-contained with lights and PA. Available for Weddings, Corporate Events, Hotels, Cruises, Themed Parties and Private Functions. 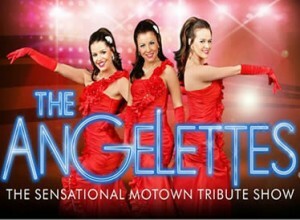 Book The Angelettes for a wedding, corporate function, private party or special event. Competitively priced to suit your budget the show can be tailored to suit your needs. RKC Promotions is a brand new promotions agency with over 40 years experience working in the show business industry working as an entertainer worldwide. We are providing entertainers of the highest standard to all clients and every performer has been personally hand picked by us to assure that the standard is attained by the artistes in every performance.